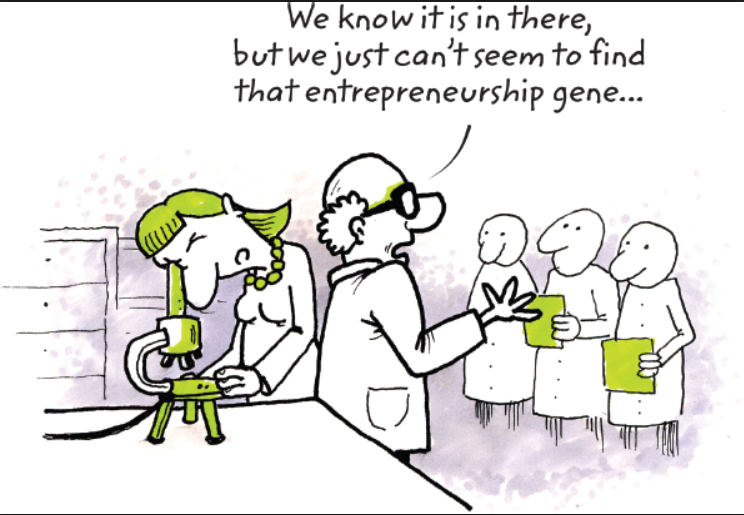 I have been asked many times, “Can you learn entrepreneurship in a classroom, or only through real-world experience?” Similarly, I’m asked if entrepreneurs are made or born. I answer these questions with a story. I was a pretty good wrestler in New Jersey and was taught by one of the best wrestlers in the world, Mean Gene Mills. Gene was a sight to see on the mat. It was an art when he wrestled. Gene just had it. I, on the other hand, did not have the “it” and few people do. Nonetheless, I still did very well, because I perfected the necessary skills as taught to me by Gene. The same idea applies to the great entrepreneurs of our time; some people are born with the entrepreneurial drive, mindset, and skills, while others must learn them. 2. Easily bored. You are simply not loving what you’re doing while working for someone else. 3. Fired from jobs. You get fired more often than you’d like to admit. Hint: telling the owner what you think when they don’t ask is not a good thing! 5. Ready to improve everything. You are always looking for ways to streamline and improve processes, policies and procedures. 6. Not normal. You probably feel different from those around you. Until I realized I was different from my friends, who are 9 to 5 type of people, I always felt different. Then I jumped head first into entrepreneurship, risking everything and that’s when it all changed. Turns out, I wasn’t “normal” in all the right ways. If none of these resonate with you, but entrepreneurship is something you are passionate about, then don’t worry, the game isn’t over yet. Just as I learned how to wrestle, you can learn how to think and act like an entrepreneur. Allow me to explain my front-row view of how entrepreneurship is changing the face of education and the ever-developing business world. As a retired entrepreneur who started ten companies and sold them all, I felt a calling to go back to school and get my MBA, so I could teach what was so freely given to me by some of the best mentors. I’ve had the honor to teach entrepreneurship at University of Virginia and, most recently, Felician University. I have learned and experienced a lot about the entrepreneur and am happy to share some of that with you in this article. We have seen entrepreneurship take root in the curriculums of universities across the country, and its appeal has spread from business schools to disciplines as varied as art, nursing, engineering, education, and many others. Courses offered in entrepreneurship have grown approximately 20-fold. In 1985, there were about 250 courses offered in entrepreneurship at college campuses across the nation. In 2008, that number grew to 5,000, with over 2,000 schools teaching entrepreneurship and creating accelerators and incubators within the schools of business (Kauffman Foundation). So many of the lessons that I had to learn the hard way are exactly what I teach aspiring entrepreneurs, so they can avoid repeating the same mistakes I made. I teach entrepreneurs indispensable skills and insights that change how they approach their businesses. This can be done in many environments, ranging from universities, to incubators, accelerators, and even mentoring programs. A few of the lessons I teach include how to evaluate opportunity, how the entrepreneurial selling of your company differs from the professional selling of a product or service, and how to effectively communicate about your business. I also teach about some of the pitfalls of agreeing to 50/50 equity splits that are sealed with a handshake at the outset of a new venture. Students learn to highlight tools that improve processes, procedures, and productivity. They also learn how to use data to uncover patterns in the success and failure of new ventures that highlight the consequences of decisions. I also teach another part of entrepreneurship that is crucial to success: Customer Discovery. Applying the discipline of Customer Discovery can help entrepreneurs avoid spending time and money building a product or service that no one wants to buy. Founders will also learn the skills of negotiation with investors, presenting to clients, marketing a product or service, and even how to hire good, qualified employees. Market Research- Evaluate ideas and assess the market. Value time, money, and work hours– Appreciate the risks and rewards of entrepreneurship. 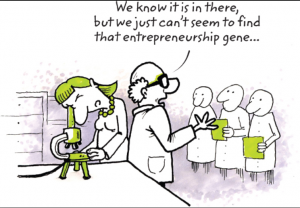 Customer Discovery– Leverage experiments to validate your idea and refine your business model. Financials– Discover the key financial decisions any entrepreneur must make in the early stages of a new venture. Investors– Understand the process of raising capital, and how to speak to investors and understand their “Term Sheets,” which outline business agreements. Mentorship– Learn from successful entrepreneurs and leading investors, as well as peers. If you can grasp these concepts and skills, you can enter the field of entrepreneurship; a field defined by breaking the rules, boundless innovation, passion, and even fun. It’s true, some people are born with an entrepreneurial mindset or skills, and will excel naturally, while others may be a fish out of water and struggle to reach the same point until they learn and perfect those skills over time. People not born with the “it” of entrepreneurship can still learn how to become entrepreneurs, but they must be willing and able to learn things extremely fast. Your success rate increases with each class you take and skill you learn. But, beware, it takes a lot more than some slick power point presentations and nice new entrepreneurial textbook to become an entrepreneur. It takes a lot of grit, risk, and tenacity. Do you have what it takes? This entry was posted in Business, Business Model Canves, Business Strategy, Education, Entrepreneurship, Innovation, Marketing, New Product Development, Start Ups. Bookmark the permalink.